It can feel daunting when it comes to keeping tabs on which wines make our personal hit or miss lists, but never fear. Like all else in this day and age, there’s an app for that! 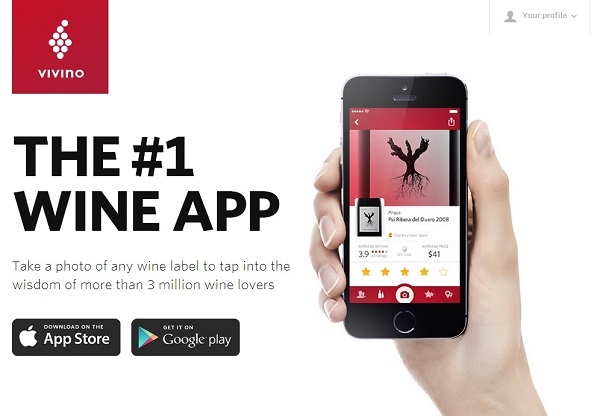 The Vivino wine app makes keeping track of wines a cinch. I cycle my way through a good number of varietals on a regular basis. Even when choosing within my favorites of Zinfandel and Sangiovese, I often used to find myself staring at bottles on a store’s shelf wondering if a certain selection was worth buying again. The Vivino online wine community got its start in 2009 in Copenhagen, Denmark. Founders Heini Zachariassen and Thies Sondergaard have provided users with the means to rate, review, and buy wines. 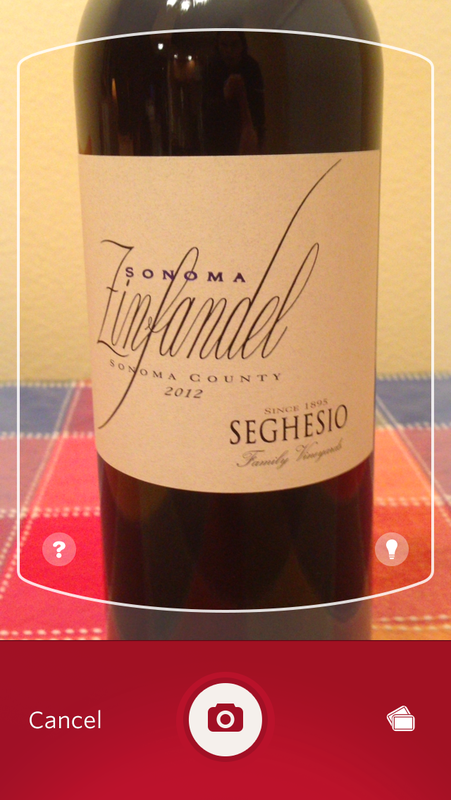 With the addition of the iPhone and Android apps, scanning a wine label for identification with your smartphone’s camera is a quick process. The database continues to grow and boasts over one million wines. A few of the Idaho wines from my home state have not been in the Vivino’s database, but such wines get placed in a queue so the team can officially add the new wine to their records. A recent update made the viewfinder of the camera a bit more user-friendly and also improved the looks of the image able to be made by scanning the label. Over time, the user’s list of wines will grow. I tend to wait until I have a few bottles saved up to get them scanned, which is a mistake since the impression a wine makes is better captured as near to the initial tasting as possible. Wines can be entered on the list without the user providing a starred rating, but that defies the point. Tasting notes are optional as well. My short and somewhat clunky notes simply cannot compare to the poetry of a brief review written by a sommelier. 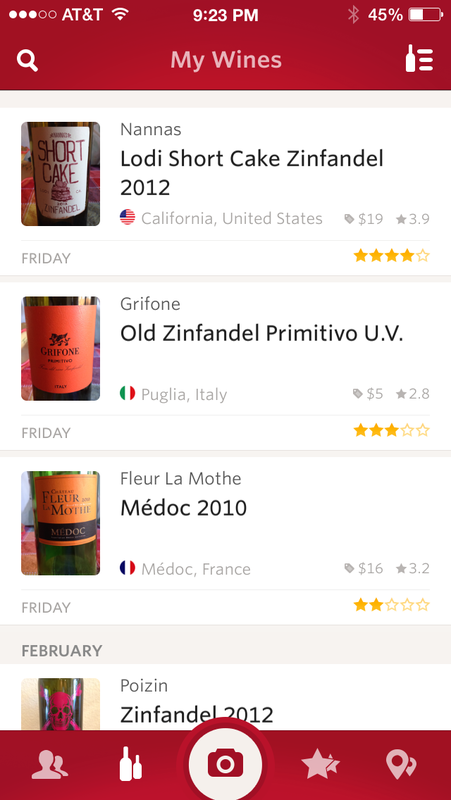 One of the fun features of Vivino comes in the form of badges. 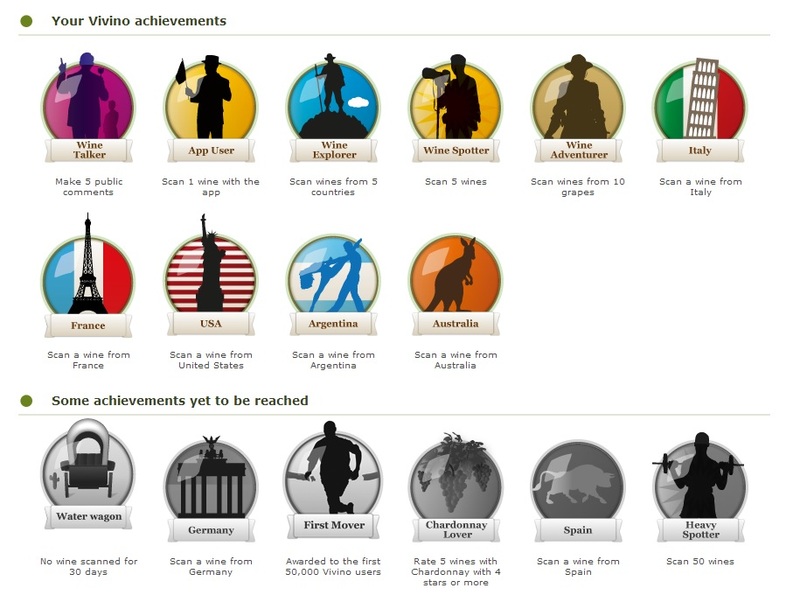 So far I’ve earned ten badges, and I am halfway toward becoming a Heavy Spotter. I wonder if I will ever receive Water Wagon Badge? Given my regular tasting adventures that is highly unlikely. Each wine in the database gets listed on its own page. 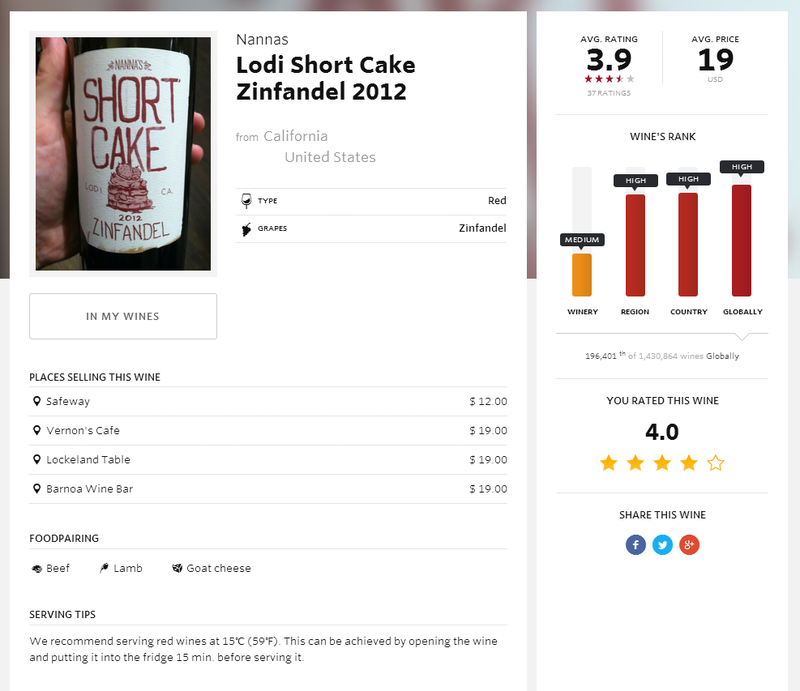 Users can see where the wine is sold as well as its price. I currently have the GPS featured turned off, but will probably activate it in the near future. Food pairings are given as well. It’s also possible to request recommendations similar to the wines the user has already rated, which adds a fun element of discovery. The only drawback I initially had with the Vivino app was my own inability to figure out where the wine search box was within the iPhone app (and yes, it was staring me right in the face). The ability to search for a type of wine means the user can also keep track of wines ordered by the glass when dining at restaurants or attending other special events. 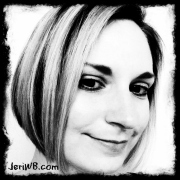 How do you keep track of the wines you drink? Do you use the Vivino app or similar apps to track your likes or progress in a given area (i.e, calorie counter, FitBit, etc.)? If you liked this article, you might also be interested in Wine Tasting Room Etiquette, Chocolate and Wine Pairs, and Wine and Cheese Pairings. Enjoy. The images used in this post are for promotional use only and comply with fair use guidelines.